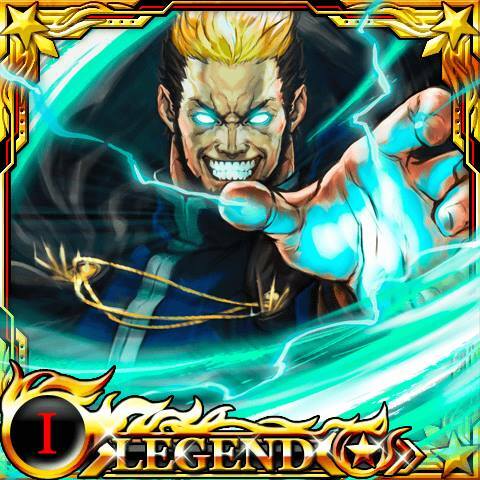 Goenitz is the leader of the Four Heavenly Kings of Orochi. Goentiz always knew his duty as a Heavenly King and was planning to revive his lord Orochi. In order to achieve his goal, he became a religious missionary who traveled to various places. 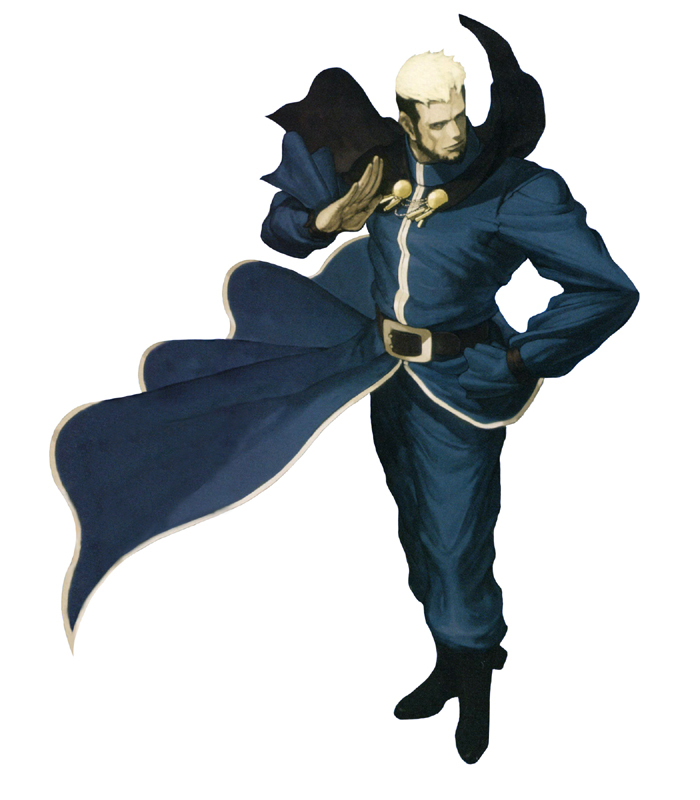 When he was eighteen, he challenged Rugal and easily defeated him by taking out one of his eyes. 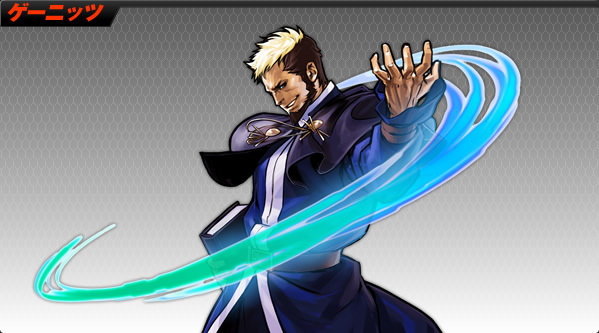 As an experiment, Goenitz granted Rugal some of Orochi's power to see if he could become a valid host for the entity. 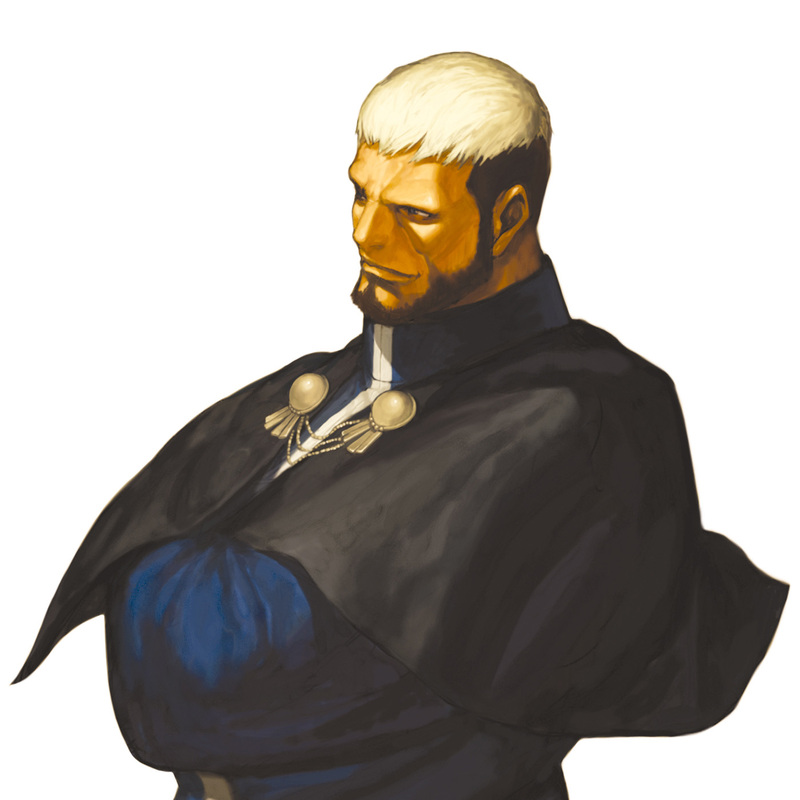 Goenitz eventually assigns the task of observing the crimelord to two other Orochi assassins, Mature and Vice. Meanwhile, he traveled to a remote village where the last of the eight Orochi, Gaidel, was staying. To his surprise, Guidel was living a peaceful life and had no interest in reviving their lord Orochi. 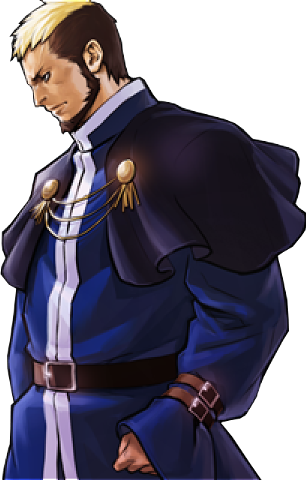 In response, Goenitz activated the Riot of the Blood in Guidel's daughter, Leona. That night, Leona lost control of herself, entering the Riot of Blood, and slaughtered everyone in the village, including her parents. 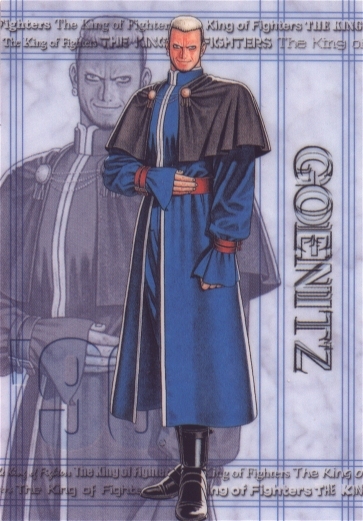 Pleased with the results, Goenitz sealed away her memories and continued to look for ways of speeding up his lord's revival. He noticed that the seal containing Orochi is too strong for his lord, so he paid a visit to the Yata household. He murdered the current head of the clan, Maki Kagura, to break the seal's power. After the events of King of Fighters '95, Goenitz decided to track down the Three Sacred Treasures that previously defeated his lord. 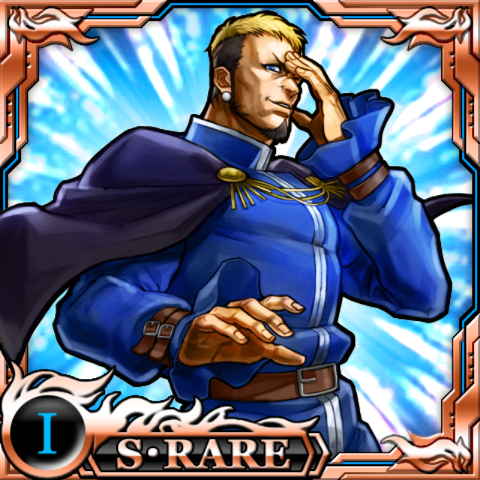 While Mature and Vice were keeping an eye on Iori, Goenitz decided to personally test Kyo's strength. 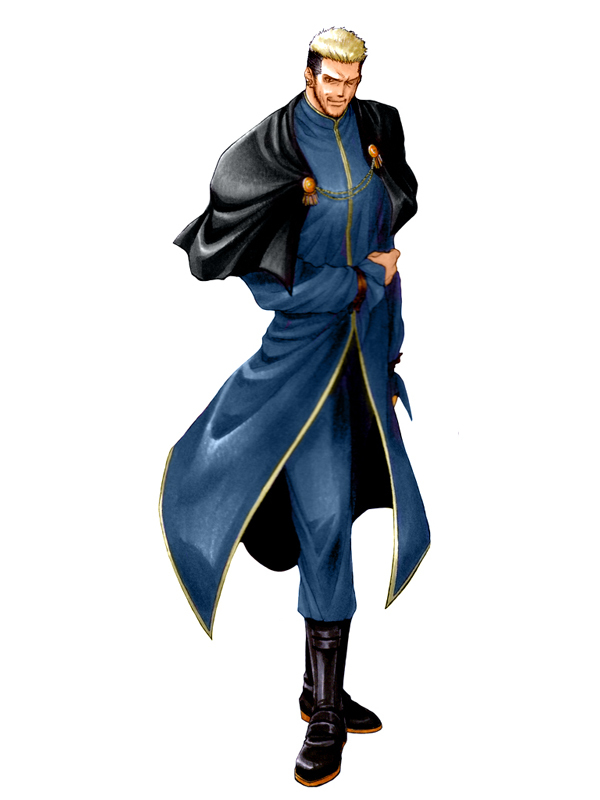 Although he expected a glorious fight from the 1995 champion, he defeated the Kusanagi heir with ease. 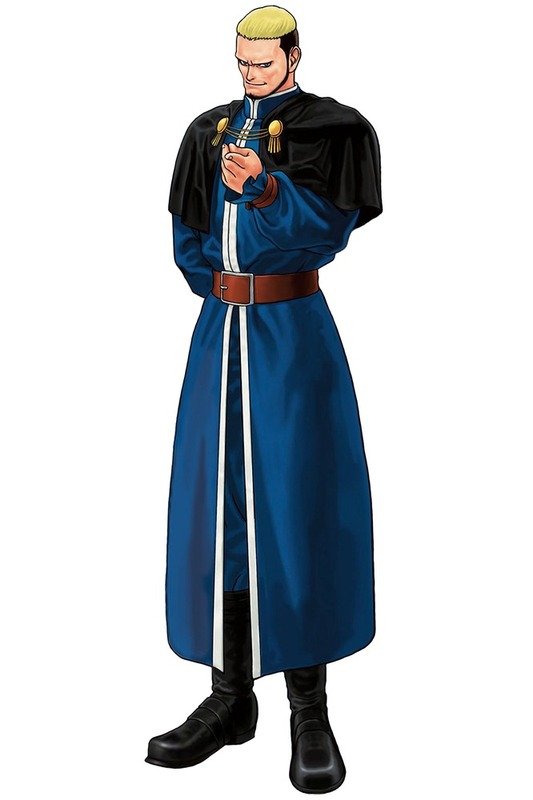 Later, he interrupts the KOF '96 tournament to destroy all three heirs at once. 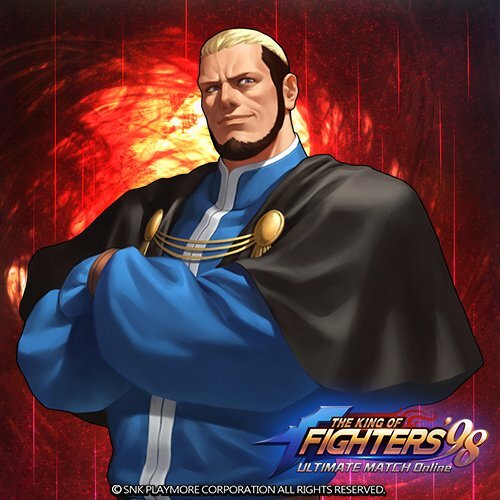 However, Goenitz is defeated by Kyo with the help of Iori and Chizuru. 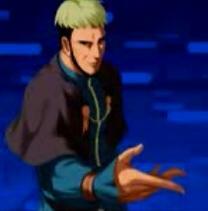 The humiliated Goenitz commits suicide afterwards, making Kyo the champion of the tournament.